What would Christmas be without our favorite furry family members? Dogs definitely make the season bright, so share the doggy Yuletide love. Make sure all your neighbors and guests know that you’re ready to celebrate the howl-iday season with these 12 dog decorations of Christmas. 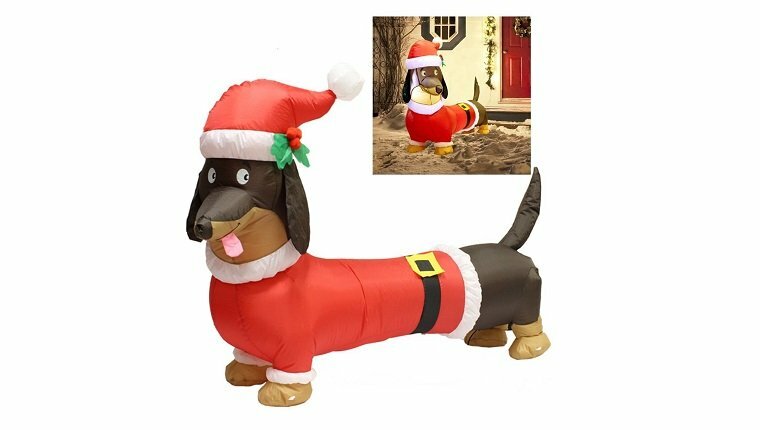 Get your neighbors to a double-take every time they pass your lawn with this 5-foot long blow-up Christmas Dachshund. You can buy it on Amazon here! 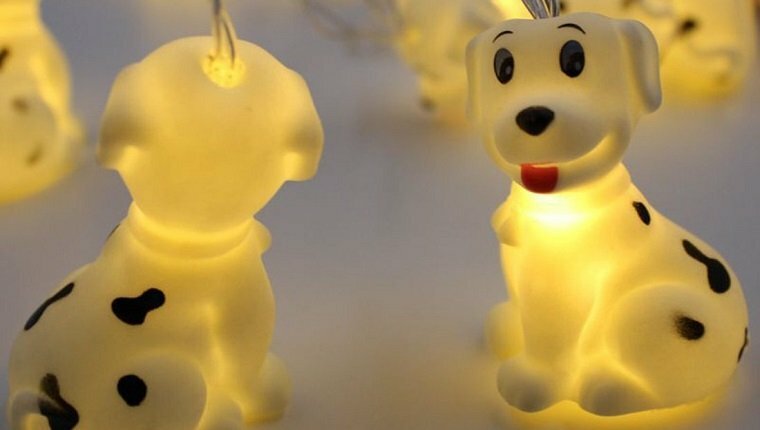 These fun Dalmatian lights will have you seeing spots. Hang them on your tree, around your window, or over grandpa while he’s sleeping. You can buy them on Amazon here! 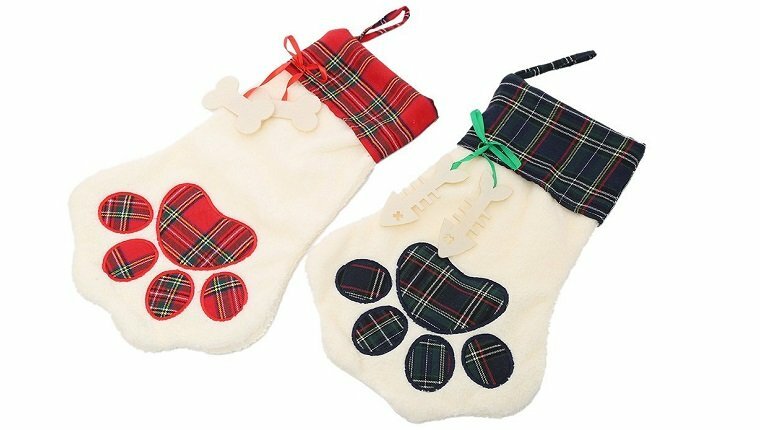 Feet-shaped stockings are for humans, but this lovely paw stocking is perfect for pups. There’s space at the top where you can embroider your dog’s name if you’re looking for a holiday project, and there’s a few different stocking styles to choose from. You can buy it on Amazon here! Want a decoration that you can devour instead of putting into storage all year? 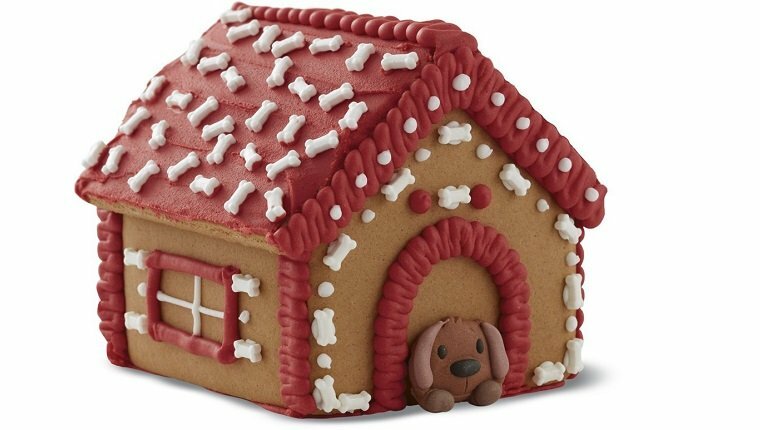 This gingerbread doghouse kit comes with gingerbread panels, bone sprinkles, and icing so you can have a fun, simple project that kids and adults will enjoy. You can buy it on Amazon here! Everybody loves Snoopy. 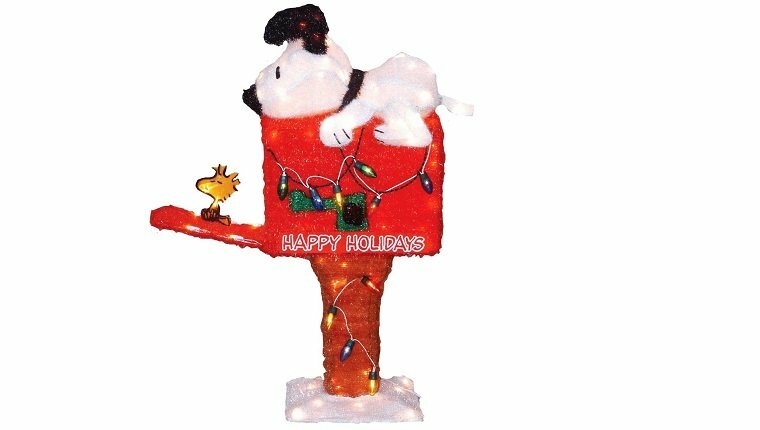 This adorable light-up Christmas decoration for your yard stands at 36 inches tall and celebrates one of America’s favorite animated dogs. You can buy it on Amazon here! 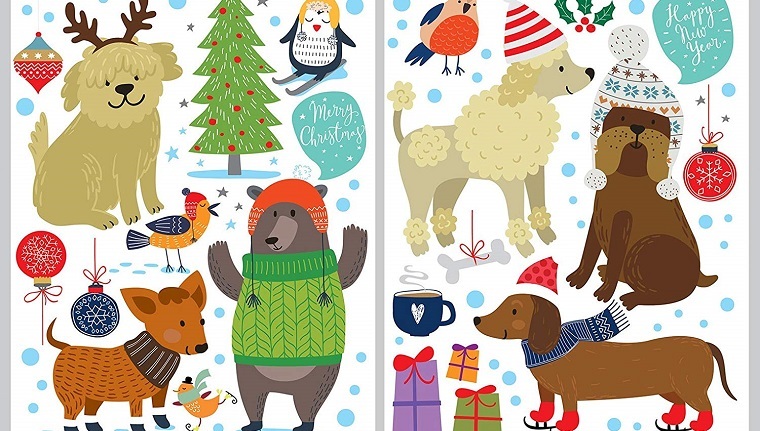 Make decorating the house a fun project for kids with these dog wall decals that you can stick on the windows for all your Christmas guests to see. They’re simple and enjoyable for the whole family. You can buy them on Amazon here! Don’t eat the yellow snow! 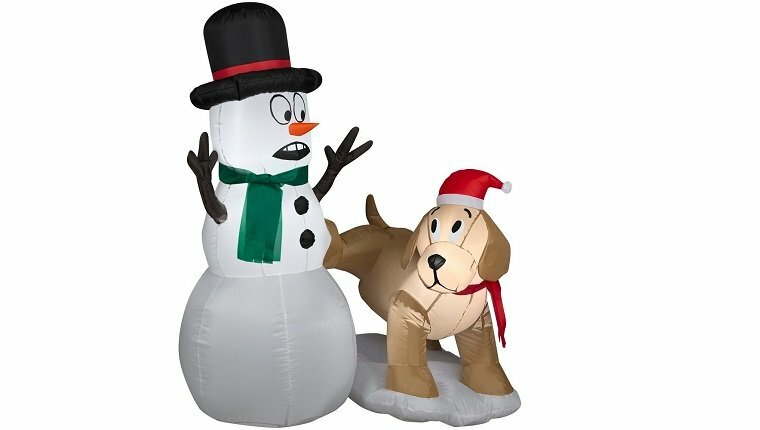 This 4-foot tall snowman isn’t too thrilled that Fido is lifting his leg, but your neighbors will get a laugh out of this funny blow-up, LED-lit lawn decoration. You can buy it on Amazon here! Christmas is as good a time as any to shake that booty. 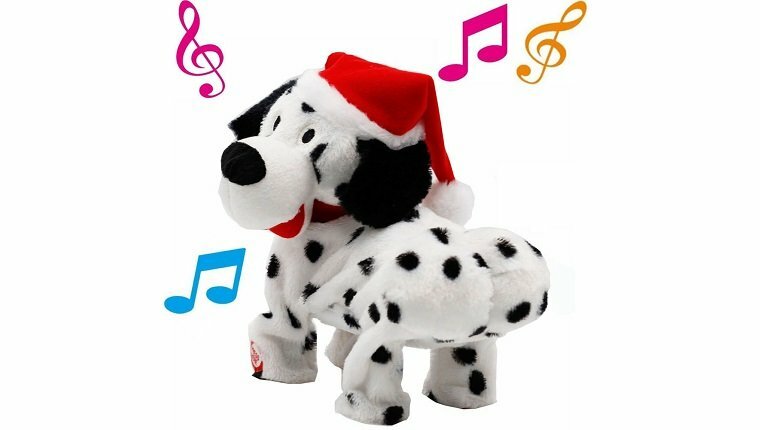 This funny, dancing Dalmatian twerks to the sounds of “Baby Got Back” in his adorable Santa hat. You can buy it on Amazon here! 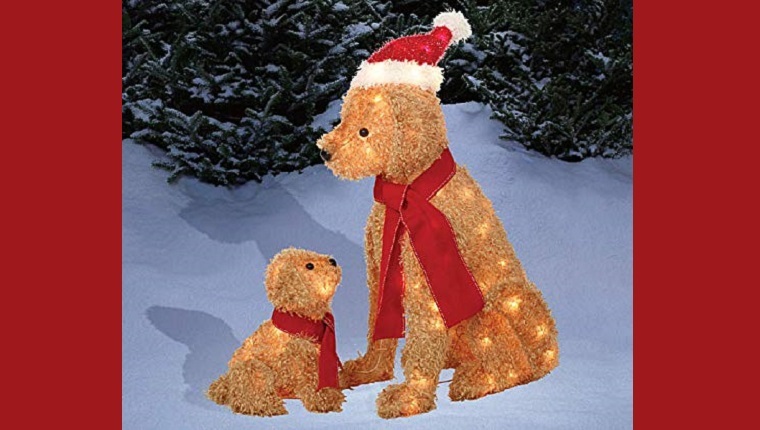 Santa is sure to spot your house with this extra adorable light-up mama dog and puppy for your lawn. Mama stands at 28 inches tall and is just too cute to pass up. You can buy it on Amazon here! There’s no place to escape Christmas cheer, even in the bathroom. 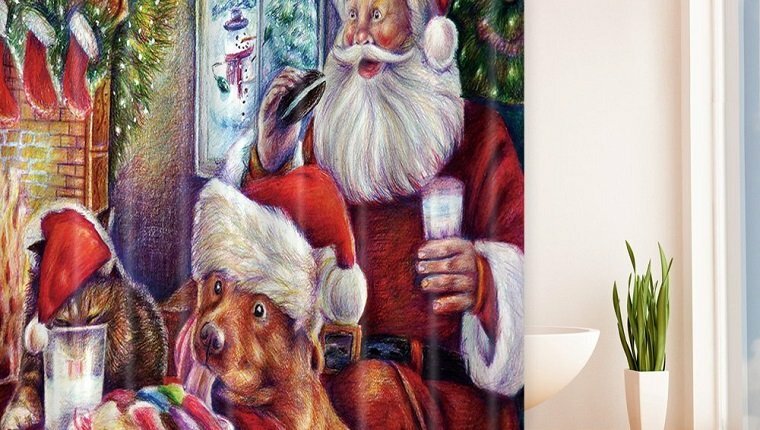 This bath curtain features some furry friends sharing some of Santa’s delicious goodies. You can buy it on Amazon here! 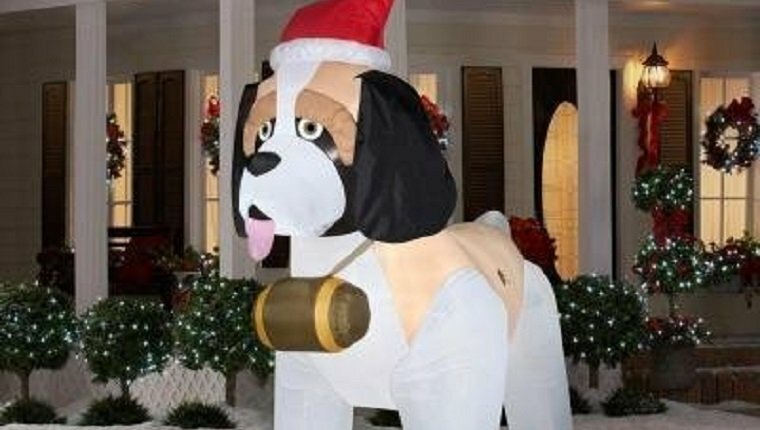 You’ll be the talk of the town with a 9-foot blow-up Saint Bernard guarding your lawn and looking out for stranded mountaineers. Alcohol not included. You can buy it on Amazon here! 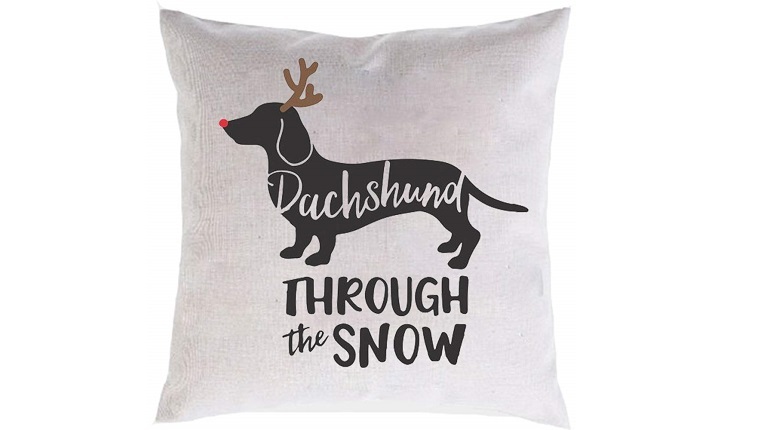 This throw pillowcase is perfect for Christmas-loving Dachshund fans, but there are also plenty of other Christmas pillow cases featuring several other breeds on Amazon to choose from. You can buy it on Amazon here! 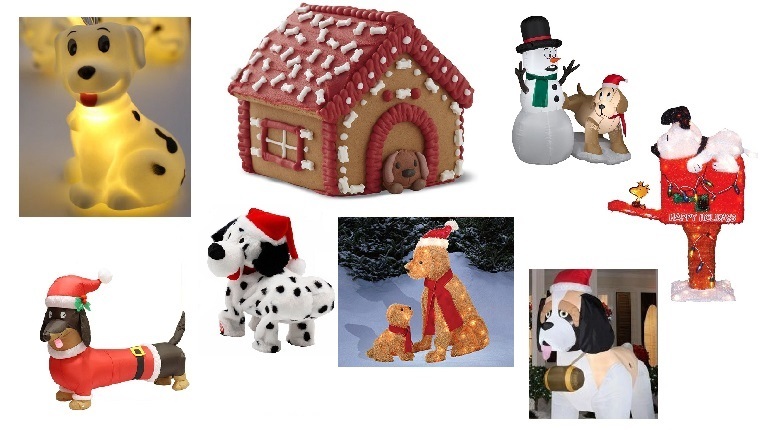 What awesome dog Christmas decorations do you put up each year? Which decoration is your favorite? Let us know in the comments below!